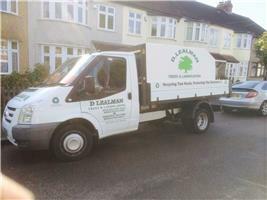 D Lealman Trees & Landscaping Services - Fencing/Gates, Landscaper based in Windsor Road, Essex. We are located in Basildon, Essex but cover a wide area from Southend to Gantshill. We offer a range of services from Tree Pruning or Shaping, Trimming, Turfing, Gravelling, Patios, Pathways etc.